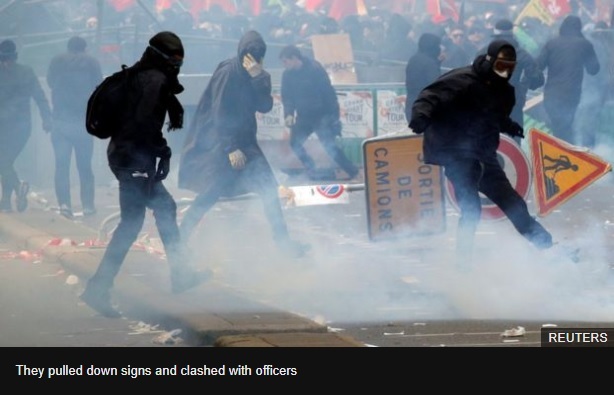 Far-left anarchist groups, known as Black Blocs, hijacked a peaceful rally against President Emmanuel Macron's public sector labour reforms. 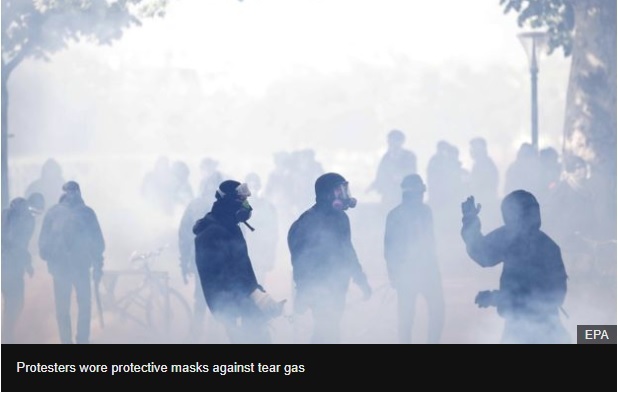 The protesters were swamped with teargas and sprayed with a water cannon in an effort to disperse them. 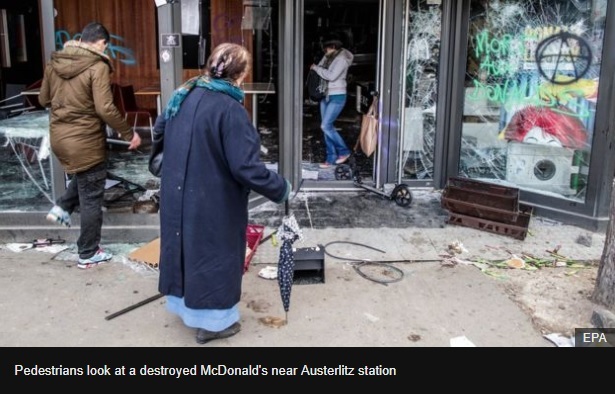 The black-clad protesters attempted to hold up the demonstration march, before smashing shop windows along the route and torching a McDonald's near Austerlitz station. 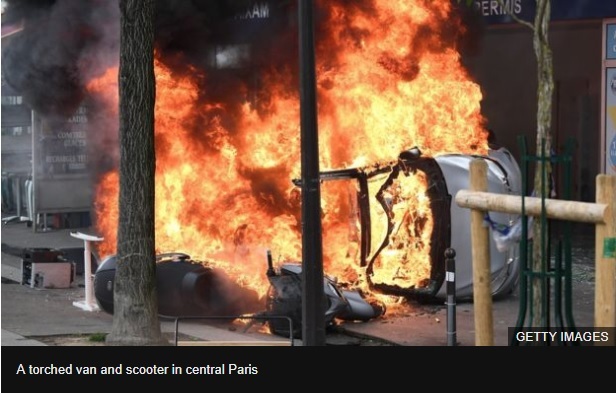 "When you have sincere convictions, you demonstrate with your face unmasked," he said. 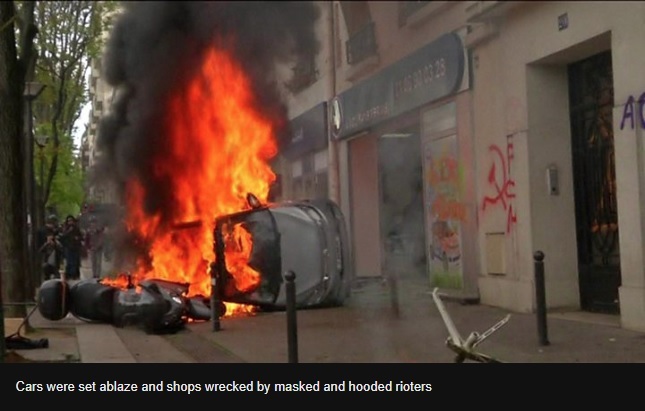 "Those who wear hoods are the enemies of democracy." 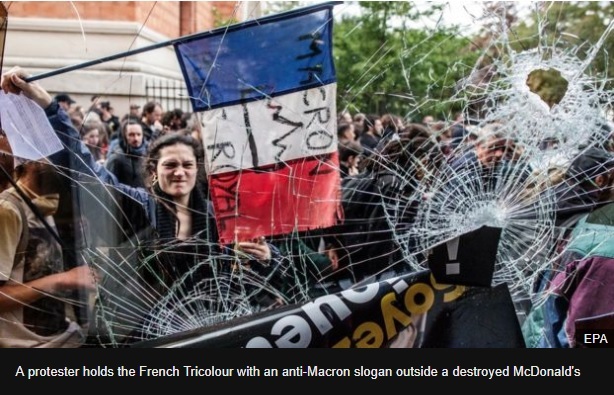 There is widespread discontent in labour unions over Mr Macron's reforms. 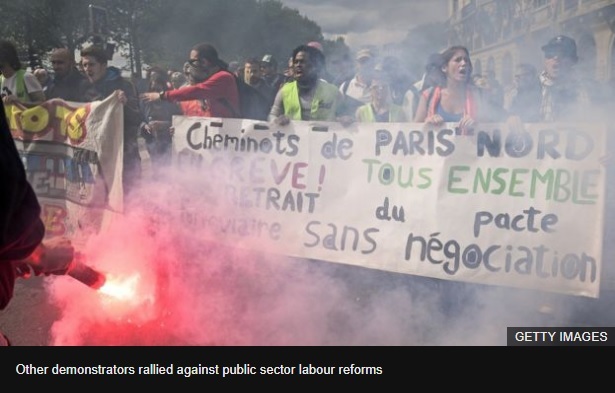 Rail staff have begun three months of nationwide strikes over a planned overhaul of state-run railway SNCF.